MoneyLion is a mobile app that offers several different services to help you build your credit. They offer personal loans of up to $500, a managed investment account, and a guided savings account. You'll need to become a member to gain access to some of these perks. Subscription fees cost approximately $79 per month. But you can earn back a dollar per day every time you log into your account through the MoneyLion app. The remaining $50 is set aside in an investment account for you. MoneyLion is a great app for those who have a hard time saving money. You'll need to have good credit to qualify for a low interest personal loan. If you don't need a loan, you can always use the app to help save money. MoneyLion also offers personalized and guided advice regarding your future financial decisions. 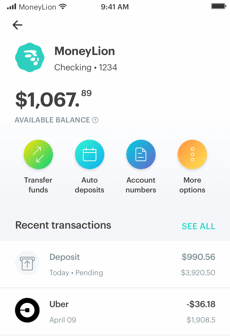 Here's everything you need to know about MoneyLion and whether it's right for you. MoneyLion is an investment company that offers much more than just personal loans. They promise to help you save your money by providing you with an investment account and a savings account. They charge you $50 per month and set this money aside for you in your investment account so you're forced to save it. They also charge you a $29 per month fee for using their services. But you can make this money back by logging into your app everyday. The company was founded in 2013 and promises to help its customers take control of their financial lives. According to the website, MoneyLion believes in providing smart products that help people build a sustainable financial future. The company claims that it has helped its customers save over five million dollars since they launched in 2013. In addition to providing you with a savings and investment account, MoneyLion offers tools to help you build positive financial habits. They believe in empowering their customers by providing the best possible products that are simple to use. They also offer personalized tools and advice that are specific to your financial habits. They work with several investors and lenders to provide personalized loans in the amount of $500. Currently, MoneyLion has office locations in New York City, San Francisco, Salt Lake City, and Kuala Lumpur. They offer two different membership packages: MoneyLion core and plus. The core membership is free while the plus membership requires a fee. Company hours are 8 a.m. until 8 p.m. Eastern on Monday through Friday. They are also open from 10 a.m. until 6:30 p.m. on Saturdays. They are closed on Sundays. The company is open during federal holidays, but at limited capacity. This excludes Thanksgiving and Christmas Day. The company states that they will continue to perform underwriting services on loans during holidays except for Christmas and Thanksgiving. But your funding may be delayed due to the holiday. The company recommends getting your loan approved by 5 p.m. Eastern the day before a federal holiday to receive your funds the next day. With a MoneyLion plus membership, you'll be able to apply for a $500 personal loan at 5.99% APR as long as you have decent credit. Personal loans do not exceed more than $500. If you don't need a personal loan, then you can sign up for a MoneyLion core membership for free. They will help you monitor your account and set aside money. They will also provide you with personalized advice and tools to help you build your credit. What Services Does MoneyLion Provide? MoneyLion provides five different services. Whether or not you have access to them depends on your membership. MoneyLion core members have restricted services while MoneyLion Plus members have access to personal loans. Here is a breakdown of the different services MoneyLion provides and what type of membership you need to have access to them. MoneyLion is primarily a personal loan lender. They may offer other services, but extending you a loan is what they're after. Personal loans are unsecured, which means you won't have to put collateral down to get one. Loan amounts tend to range from 500 to $35,000. They can be used on whatever you want with no restrictions. On the other hand, small business loans and other loans must be used for specific purposes. In most cases, it can be difficult to qualify for a personal loan. But MoneyLion offers loans to borrowers with less-than-perfect credit. The type of loan you qualify for usually depends on your credit history. Borrowers with excellent credit may qualify for a loan with a low interest rate. But if you have a credit score below 580, then a smaller loan with a higher interest rate is all you may qualify for. This is what MoneyLion specializes in. Their loans max out at $500 with an interest rate of 5.99%. This is ideal for first-time borrowers or for those with less-than-perfect credit. Smaller loans can help you build credit without setting you back if you cannot afford to make large monthly payments. If you think a personal loan from MoneyLion is right for you, you can check your rates within five minutes online through the MoneyLion website. The company will do a soft credit pull on you, which won't affect your credit score. If you decide to apply, then they will pull a hard credit check on you. Hard credit checks will affect your score. So be sure this is the loan you want to go with before applying. After you're approved, you'll sign your loan agreement. The funds will be deposited into your checking account the next business day. When you sign up at MoneyLion, you'll gain access to personalize financial tools to help you make better decisions with your money. This is one of the perks of being a MoneyLion member. It's a good idea to take advantage of these tools by allowing a MoneyLion team member to show you how to use them. The MoneyLion app can help you get personalized tips based on your spending habits and credit score. The goal is to help you manage your credit and save money by putting aside money in your investment account. You’ll also be able to view your transactions in history in all accounts when you use the MoneyLion app. Your personalized app tools can help you track your expenses and stay on budget. They can also help you identify spending categories. This helps you know what you're spending the majority of your money on. Your app is updated daily so you can track your net worth and savings over time. If there is unusual spending on your account, you'll receive a mobile alert. You’ll also receive an alert if your balance drops too low. This can help you avoid bank fees or late fees. The purpose of these tools is to help you manage your daily spending habits so you can save money. The app is designed to fit into your busy lifestyle. You can check your money no matter where you are. MoneyLion offers a rewards program that allows you to showcase your financial responsibility. You'll receive endorsements on your account and earn rewards for good financial behavior. These include gift cards to stores such as Walmart, Amazon, Starbucks, Best Buy, and more. You also receive credits to get endorsements that can save you up to 15% find your interest rate. Your financial responsibility is based on five different factors. The first is easy. It includes connecting with MoneyLion during their getting-to-know-you phase. During this phase, you can link your social media profile and confirm your email and phone number with MoneyLion. This helps confirm your identity and reduces fraud. The second factor is based on your borrowing habits. When you pay off your balance on time or make timely monthly payments, you'll be rewarded. You will also be rewarded by your financial habits. Connecting your bank accounts and credit cards to your MoneyLion account can increase your savings by 5%. You can also earn rewards by avoiding late fees and viewing your account often. In other words, staying on top of your financial game will help you get rewarded. Your credit habits also matter. Increasing your credit score and enrolling in MoneyLion’s free credit monitoring service will get you rewarded. You also see rewards by keeping your credit utilization below 10%. Finally, you'll get rewarded by helping out the entire MoneyLion community. When you write reviews or have other users interact with your reviews, MoneyLion will reward you. You also see endorsements or rewards when you refer people to the MoneyLion app. Your friends and family can help you get endorsements on your account. Every five endorsements will get you an APR reduction of 2.5%. This will cap at 15%. Keep in mind that endorsements do not have any legal obligations. They are only meant to help support your financial habits. The MoneyLion app offers a free credit monitoring service through TransUnion. You can use this service whether you're a paying member or not. Enrolling a simple. All you need to do is confirm your identity by entering some basic information. After that, MoneyLion states they will provide you with a credit score within seconds. It will also provide a detailed list of factors related to your credit. You'll also be able to keep track of your credit score and get alerts when changes occur to your account. You'll also learn how different financial behaviors affect your credit score. These include transferring balances to a new card, paying off your cards, or taking out a loan. The MoneyLion app also provides you with credit monitoring tips such as how to manage your score. They simulate different situations to help you understand how your habits affect your credit score. This is a helpful feature because it helps you learn about your credit so you don't have to hire a service to do it for you. Signing up for a MoneyLion Plus subscription will get you access to a managed investment account. You also get a guided savings account. Keep in mind that these features are only available if you pay for the service. Your guided savings account helps you put away $50 per month. The app will charge you $50 and then put it aside for you in your savings account. It will also look at your financial behavior to determine the best date to pull this money from your account. You will also receive daily budgeting tips to help you spend less so you can save more. MoneyLion Plus members also get a managed investment account. It works by investing money that you have saved into a diverse portfolio of EFTs. These are created based on your financial needs and life stage. There are no management fees associated with this service. 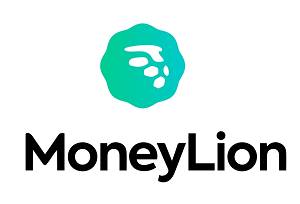 If you sign up through LendEDU, MoneyLion will automatically put $10 into your investment account. Although these services are not free, they are a good way to help you learn how to save money and invest. According to the website, the core membership is a $526 annual value. You get these services for free just by signing up with the app and logging in every day. If you need a personal loan, then you will need to sign up for the MoneyLion Plus Membership. This will cost you $79 per month. I'm busy, approximately $50 will be set aside for you in an investment portfolio. The other $29 you can make back by logging into your account every day and receiving cash back. If you have trouble saving money, then you may want to invest in the MoneyLion Plus Membership. They will set aside money for you so that you are forced to save. They will also provide you with tips for investment decisions in the future. MoneyLion is a unique app because it offers many different credit building services in one. If you pay for the membership service, you'll be eligible to apply for a personal loan. If you don't need a loan, then signing up for the free services is a good idea. These include credit monitoring, budgeting tools, and more. Not many apps would provide these services to you for free. The downside to working with MoneyLion is they don't provide large loans. Their personal loans are designed for people who want to build their credit or for first-time Borrowers. If you need large amounts of money, then you'll want to look elsewhere. But if your credit is not great and you need a way to rebuild it, then you may want to invest in a MoneyLion plus membership. Fast funding - if you're already a MoneyLion member, then you won't need to fill out an application. MoneyLion will deposit your loan right into your checking account the next business day. They offer $1 cash back for every day you log into the app. This can cover the cost of the membership fee as long as you remember to log in. MoneyLion reports to the credit bureaus. This means that if you make your payments on time, you can increase your credit score. The personal loans offered at MoneyLion are small. This means if you need a loan over $500, you will need to look elsewhere. Interest rates are determined by your past credit. If you have good credit, then you may want to use another company for your personal loan provider. MoneyLion isn't just a personal loan lender. They offer several different services bundled into one package. The company has two different membership plans. The core plan is free and includes services such as free credit monitoring and personalized financial tools. The MoneyLion plus membership costs $79 per month. Approximately $50 of this money will be set aside for you in an investment portfolio. You will also get a free checking account with your membership. The other $29 is the monthly fee for using the service. You can make this money back by logging into your account each day. The company will give you $1 every day just for logging into the app. Once you are a MoneyLion member, you won't need to fill out an application to become eligible for a personal loan. The company will work with you even if your credit is not great. They only offer small loans in the amount of $500 with interest rate starting at 5.99%. If you need a larger loan, then you may need to look elsewhere. Consider using MoneyLion if you need help managing your account and financial activity. You may also want to consider MoneyLion if you need a personal loan with a small amount to build your credit.